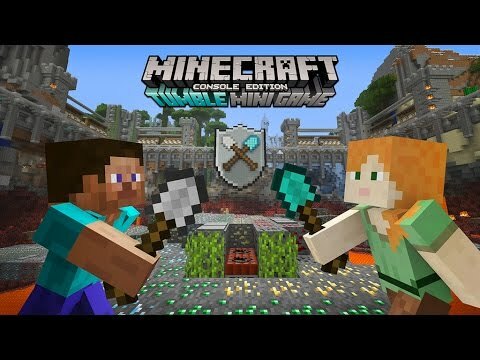 People assumed Microsoft’s purchase of Mojang and the Minecraft IP would result in Minecraft being restricted to Microsoft’s products, if not now, then eventually. As of today, we can assume that’s not happening for a long time: Microsoft is fully willing to put Minecraft onto brand-new platforms that didn’t exist the day they bought the game’s rights. The event that confirmed this was Oculus Connect, the press conference for Oculus Rift that revealed a lot of new information about the forthcoming VR device. A Microsoft spokesman has stated their interest in Minecraft was mainly to get it on HoloLens, but it won’t be the only pair of virtual goggles that you can block-mine with. Minecraft will be available on Oculus Rift as well. 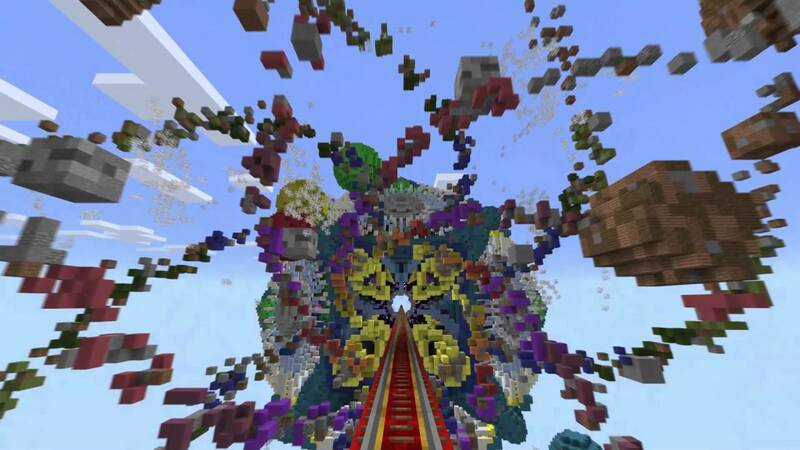 This version will be different from the HoloLens version which displays Minecraft creations onto real-world objects. With the Rift you’ll be able to step into the Minecraft world itself and control it as if you were there. You decide which is better. 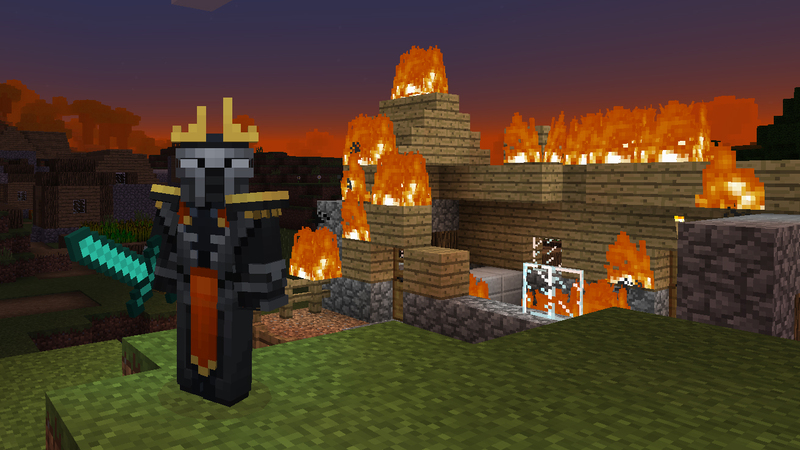 The Rift version of Minecraft will be available this coming spring. 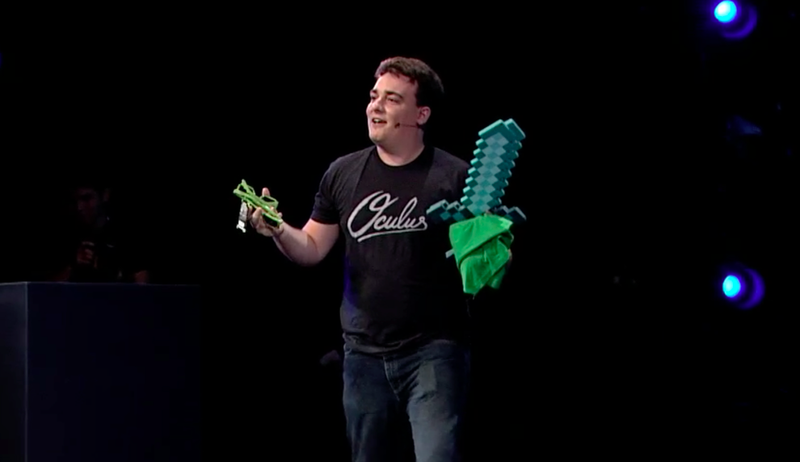 The announcement was made by Oculus founder Palmer Luckey, who then brought out stuffed Minecraft toys and tossed them at the crowd. “My work here is done,” he said, and left.